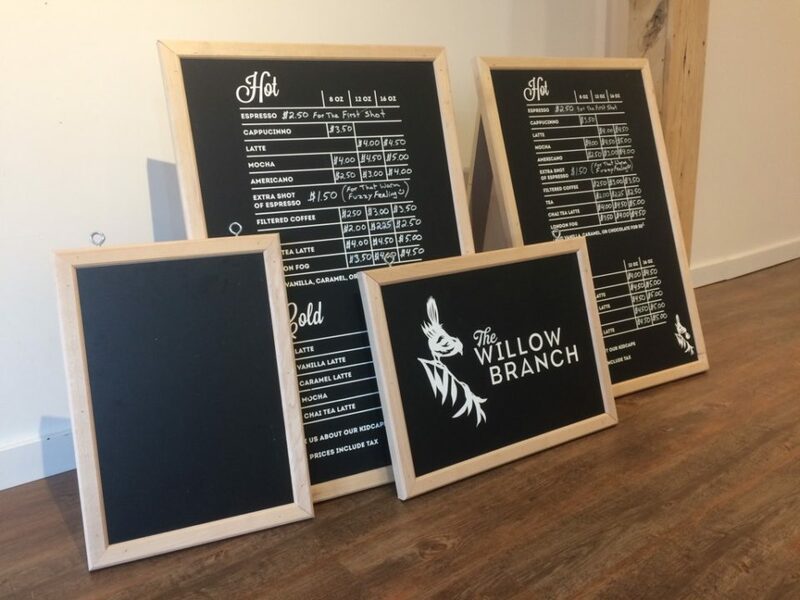 The Willow Branch currently is a mobile espresso cart but will also be a wood-fire pizza place here in Boissevain. Dan was looking for a design to incorporate the heritage willow tree on his property and worked with a Winnipeg based paper cut artist. I helped with the typography and design of his cards, menu and various signage… find Dan at a farmers’ market or festival in the area.